Our aim with this focused issue was to look at the changing environments of international business and the new challenges faced by multinational enterprises from developed markets. We were particularly interested in the appearance of emerging markets as viable markets and locations for outsourcing as well as in the increasing number of firms from these markets entering the international arena as formidable competitors. These new developments and an increasingly volatile economic environment are changing the rules of competition and are affecting the competitiveness of established players and markets. The resulting new global order is questioning extant international business paradigms and theories, and the way we conceptualize cross-border strategies. 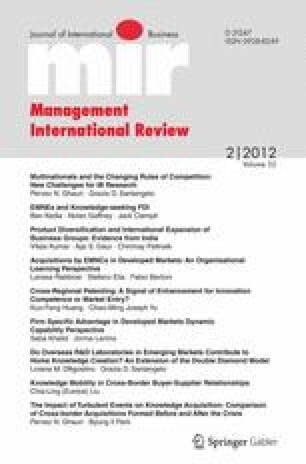 This focused issue addresses some of these challenges faced by international business research and analyses how firms both from developed and emerging markets are dealing with these new phenomena and challenges.